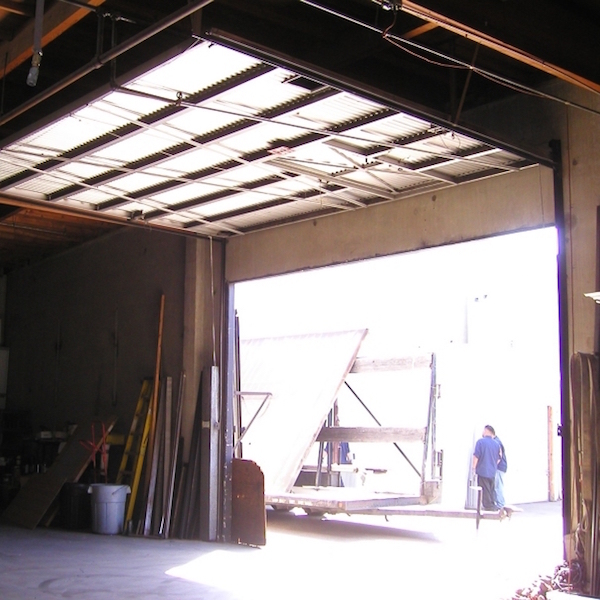 Can lift and rest open horizontally inside building. No springs are used. 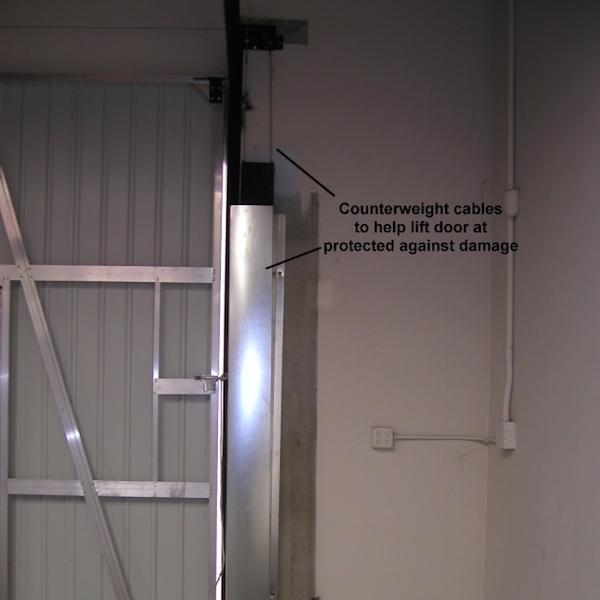 Door is counterweighted with cables and a steel gravity weight. Low maintenance. 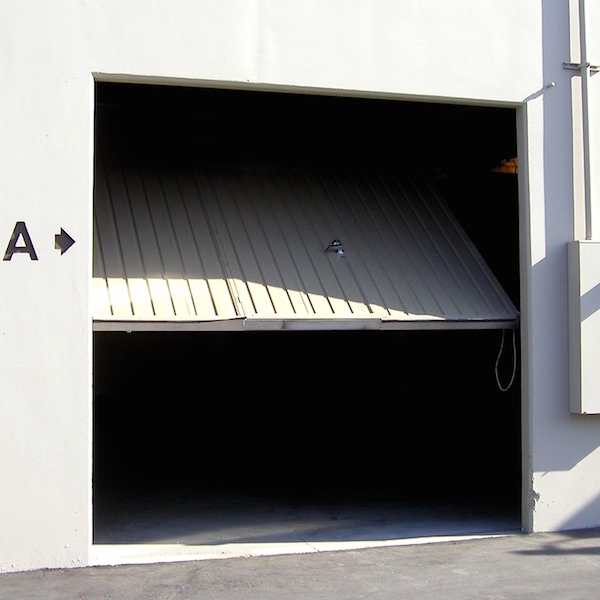 Lasts for decades when maintained properly. Easy to manually lift open. Easy close, simply pull down a rope tether. 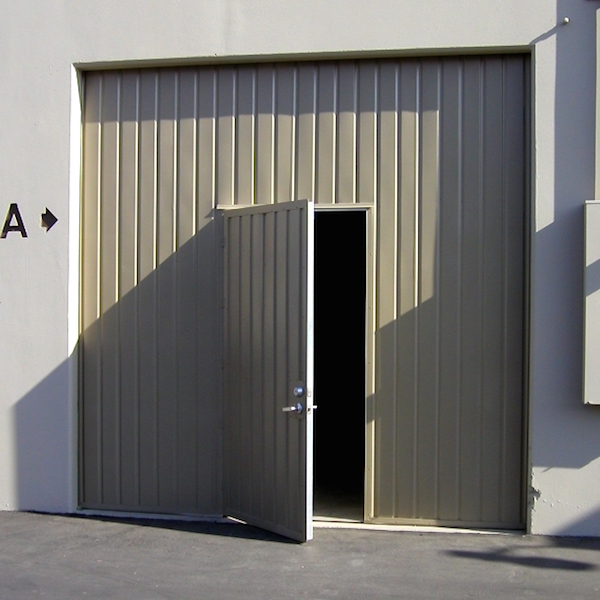 Most existing doors can be matched for exterior appearance with identical or similar sheeting. 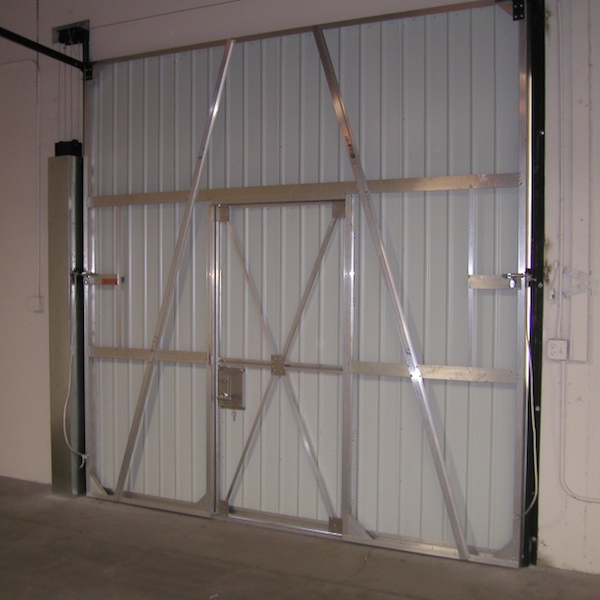 Pilot doors can help reduce heating and air conditioning costs by minimizing the need to open the larger warehouse door.